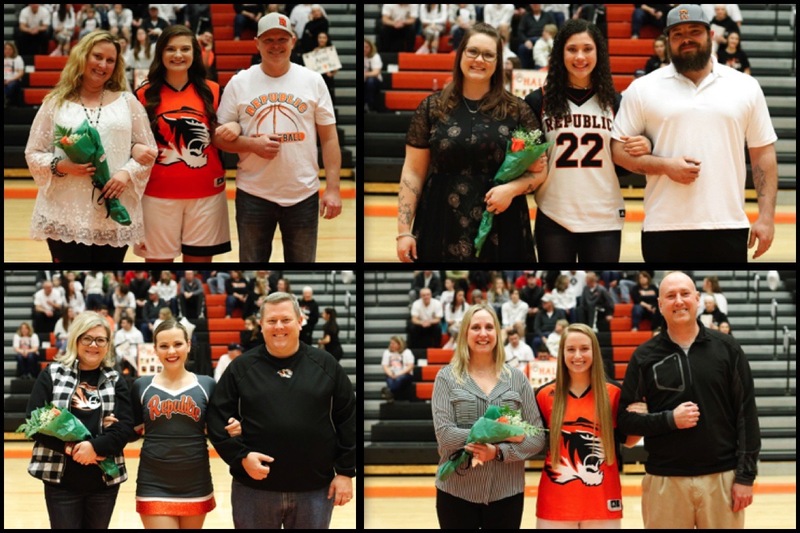 Republic honored four seniors — three basketball players and a Tigerette — at Monday’s game. Karson Thomas was escorted by her parents, Kevin and Carissa Thomas. She has danced for the Republic Tigerettes for four years. Karson has a GPA of 3.7 and is a member of the National Honor Society, FFA, and the A+ Program. She plans to attend MSU and study communications. Halli Bartelsmeyer was escorted by her parents, Eric Bartelsmeyer and Kim Kohlmeyer. Halli is a guard for the Lady Tigers and has played basketball at Republic for four years. She has a 4.1 GPA and is a member of the A+ Program, Athletic Leadership Club, FCCLA, Key Club, and the National Honor Society. Halli plans to attend Missouri State University and study dental hygiene. Avylina Powell-Qualo was escorted by her parents, Tori and Melissa Goodman. Avylina is a post player for the Lady Tigers and has played basketball at Republic for four years. 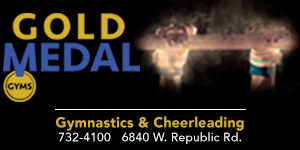 She has a 3.5 GPA and is a member of Republic’s Track Team, Fellowship of Christian Athletes, and the A+ Program. Avy plans to attend Evangel University and study elementary education. Anna Bell was escorted by her parents, Mark and Jessica Bell. Anna is a post player for the Lady Tigers and has played basketball at Republic for four years. She has a 4.0 GPA and is a member of the National Honor Society and the A+ Program. Anna plans to attend OTC and MSU and study physical therapy.